With GCSE/A Level exams fast approaching, students are starting to ramp up their revision. However, even the most knowledgeable students may not achieve their potential if they don’t have the skills or understanding of how to apply that knowledge. 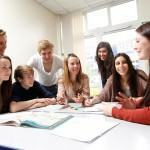 Our guest Lucy Parsons is an experienced academic coach and has some invaluable insights for parents and students about spotting and answering different types of question. You can read Lucy’s article here. If you only have 5 minutes to spare then here’s our summary of the key points. 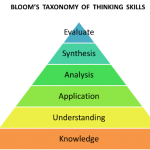 Bloom’s Taxonomy of Thinking Skills is widely acknowledged as the basis for structuring exam papers and the wording of specific questions. 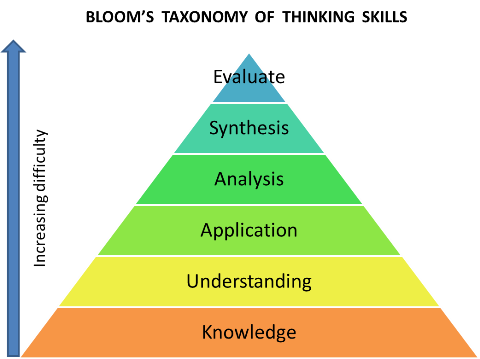 The name makes it sound complicated, but Bloom’s Taxonomy is very simple really. It just takes the most common skills that students are asked to use in the classroom and ranks them in order of their complexity. The higher up the Taxonomy you go, the more the thinking skills are valued academically. Knowledge is concerned with recall, memory and knowing. Although it’s the simplest of the thinking skills, this is where most students spend most of their revision time. Getting higher marks requires students to demonstrate the more complex skills, with the result that understanding, and leaving time to practice, the more advanced skills is essential. use command terms like Describe; Define …;What is a …? are located early on in the exam or , for multi part questions, the very first sub question. Many subjects now have multiple choice questions at the end that test this too. Application involves students using their knowledge and understanding in new and different circumstances. Going back to the biology example, an application question might involve candidates being provided with a photograph of a microscope view of dividing cells and being asked to identify the process that is taking place (is it mitosis or meiosis) from the photographs and explain how they know that from the evidence in the picture. Analysis: This is about how students can take apart information or data in order to discover relationships, motives, causes, patterns and connections. In an exam, students may be given a graph or a data table and be asked to describe or explain what the data is showing. For example, a geography question might include a graph showing carbon dioxide levels from 1900 to present. Good answers might say it increased from x amount in 1900 to x amount in 1950, then the rate of increase became more rapid with atmospheric carbon dioxide reaching x in 2018.
use command words like Explain; Why; Outline; How successful was …; What are the advantages & disadvantages of …; Compare & contrast… ; Would you recommend…? Synthesis: This involves students creating something new and original, using all their knowledge, understanding and skills. Evaluation: This involves passing judgement on something and is commonly tested as part of practical work for coursework or controlled assessments. Science exams also frequently ask students to evaluate methods used in experiments eg give one advantage of using a temperature sensor attached to a data logger instead of a thermometer. may be sprinkled throughout the paper for science subjects. For other subjects they’re more likely to be at the end. 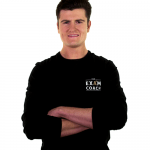 Did you know that a large proportion of Justin Craig tutors are examiners? 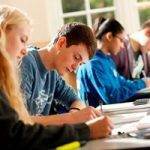 So when looking at past paper or practice questions, our students have the perfect opportunity to practice these key thinking skills and get expert advice on how to achieve top marks.